Deleting a booking is done through the Booking form. 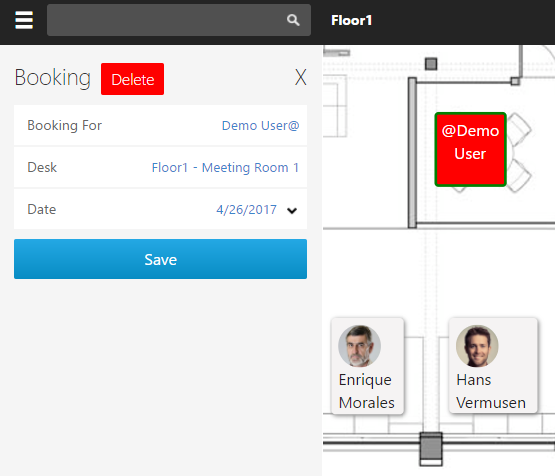 A user can either find their booking on the floorplan to open this panel or find their booking using the My Bookings tool. Open the project floorplan that the booking was made on. Click the Show Bookings For date at the bottom of the screen to select the date that your booking is on. 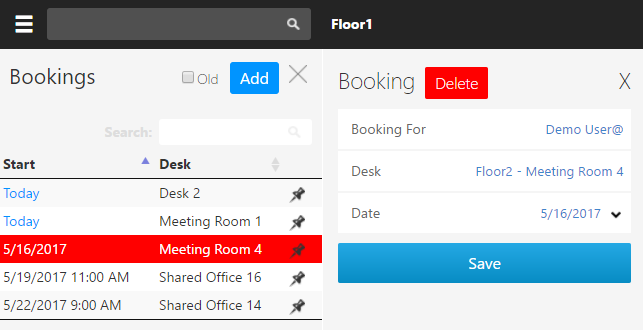 Click the booked desk on the floorplan to display the Booking form (booked desks will display an employee name over the Shared Desk icon, as well as a green border). In the Booking form, select the Delete button. Confirm the removal of the booking. In the Sidebar Menu, select My Bookings. Select the booking to be deleted.